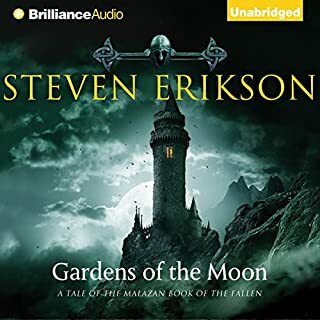 Drawing on events touched on in the prologue of Steven Erikson's landmark fantasy Gardens of the Moon, Night of Knives is a momentous chapter in the unfolding story of the extraordinarily imagined world of Malaz. 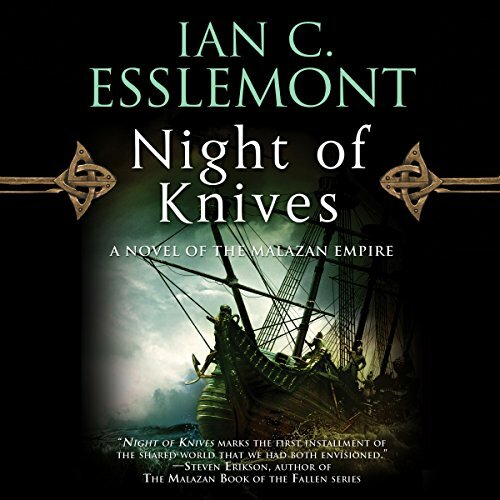 ©2005 Ian Cameron Esslemont (P)2005 Random House Audiobooks, all rights reserved. 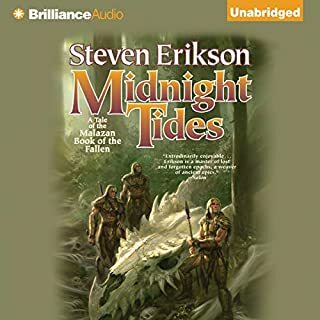 Introduction © 2005 by Steven Erikson. This book was so worth the wait. 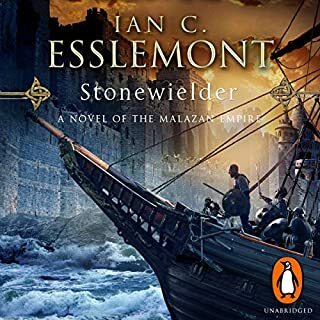 As an avid listener of all things Malazan, I was thoroughly entranced through the whole story. To hear how seamlessly the story has been woven into the story I am so familiar with was a real treat. 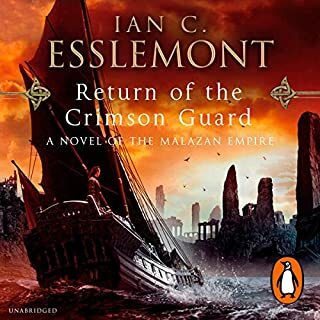 Can't wait to listen to book 2(starting in 5 minutes). 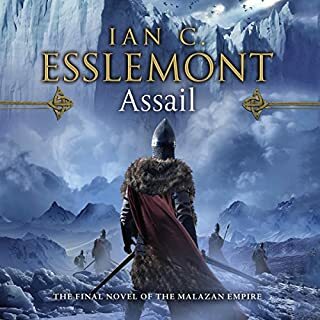 Pretty good initial "companion" story to the world of Malazan not yet explored. 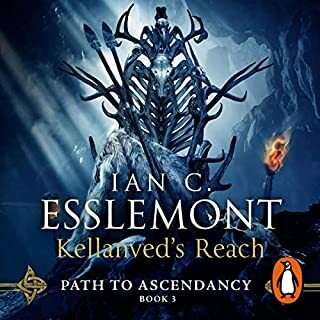 I like the idea of Esslemont and Erikson going at this endeavor together; truly makes for epic story telling. 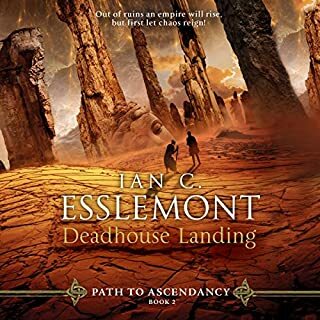 Esslemont doesn't disappoint as this is fast paced action and intrigue in a very digestible format (I sometime get worn ragged trying to plow through 700+page books). Not here, well done. 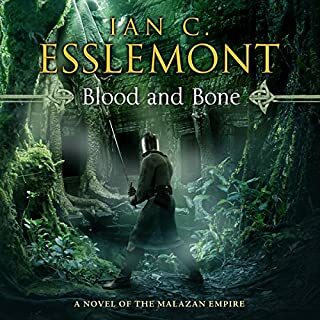 it was nice to get a little backstory into the old empire. 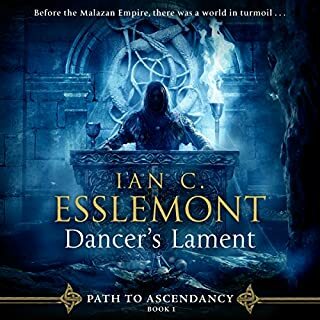 Dancer, Kellenved, and Dassam. 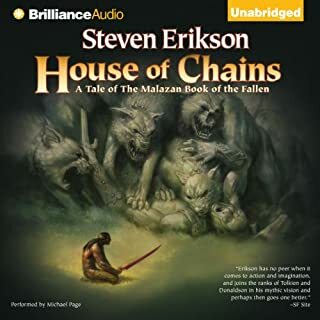 I can't begin to describe just how perfect Erickson's Malazan Book of the Fallen scratched that itch I've been trying to get at for the last year,book after book after trilogy after bleh & finally the jewel MBOF went thru my ears and WOW! 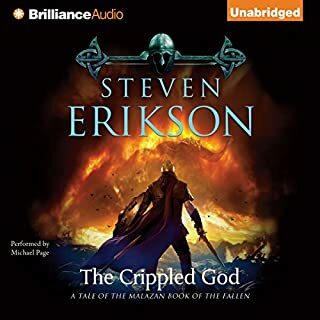 All while knowing I have this beautiful series in my library just waiting for me to finish the Crippled God.. Yessss! 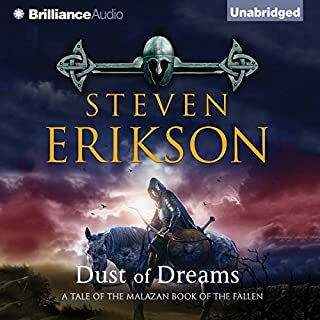 More Malazan & from another great writer who helped to dream up this amazing world. All I can say is Thank You! This was a pleasure. 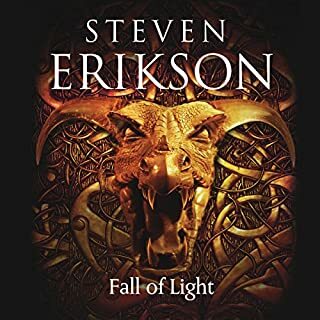 The differences between Erikson and Esslemont although subtle are rewarding. This reader didn't even mispronounce any of the names! 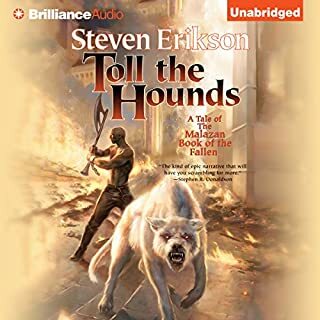 Great prelude tale to the Malazan world and epic stories by Steven Erikson and Esslemont. John Banks was amazing! 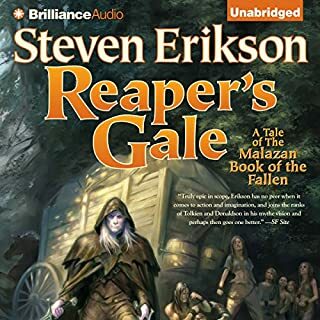 A perfect choice for narrator. 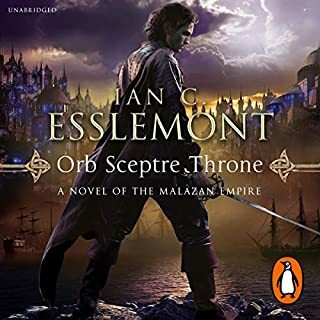 Very glad to see he's reading all the Esslemont books! 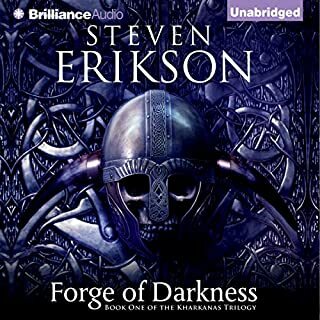 Now on to the rest of the series. 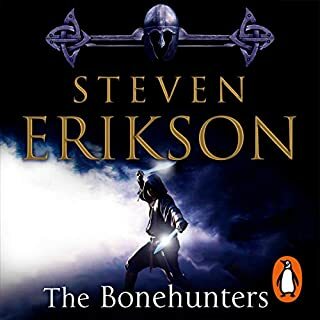 This is the second time ive listened to this book and ive gone half way through the second book for the second time as well and i have no idea what is going on. you get thrown in with no explanations. and there is no explanations throughout the books. your just hearing what is going on as if the author expects you to know who, what, why. the second book is even worse. you get thrown between so many people that you have NO clue what is going on. maybe later in the series everything comes together but i cant keep listening to books that make no sense.